Tiffany & Company recently delivered some happy news to its stakeholders. Following a strong two-month holiday season, when net sales increased 8%, the company posted a full year sales increase of 4% to reach $4,2170m worldwide. 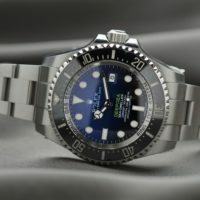 From his perspective overseeing 7,000 global brands, Hahn-Griffiths feels that Rolex’s success at holding onto the lead as the world’s most reputable brand provides a valuable contrast to that of Tiffany, both being luxury brands playing on a world stage. “Everything that Tiffany isn’t doing, Rolex is,” he calls out.